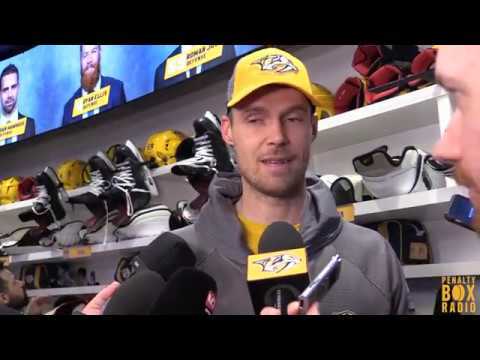 Justin and Glynne kick it off recapping Nashville’s win over Buffalo and welcoming intern Spider-Jack to run down some interesting stats on the Preds. Then, Chris Peters of ESPN joined us to talk all things college hockey and prospects. His favorites in the Frozen Four, players to watch, potential college free agents to lookout for, Dante Fabbro, draft prospects and more are discussed. Brant Feldman of AGM Sports, who has represented multiple Olympians, then joined us to talk about the continued equality battle for USA women’s hockey along with the current situation regarding professional women’s hockey with the CWHL/NWHL. Lastly, we close it up with another dumb thing found on Preds Facebook, if the Preds were a fruit, what would they be, line combos in the playoffs and more!